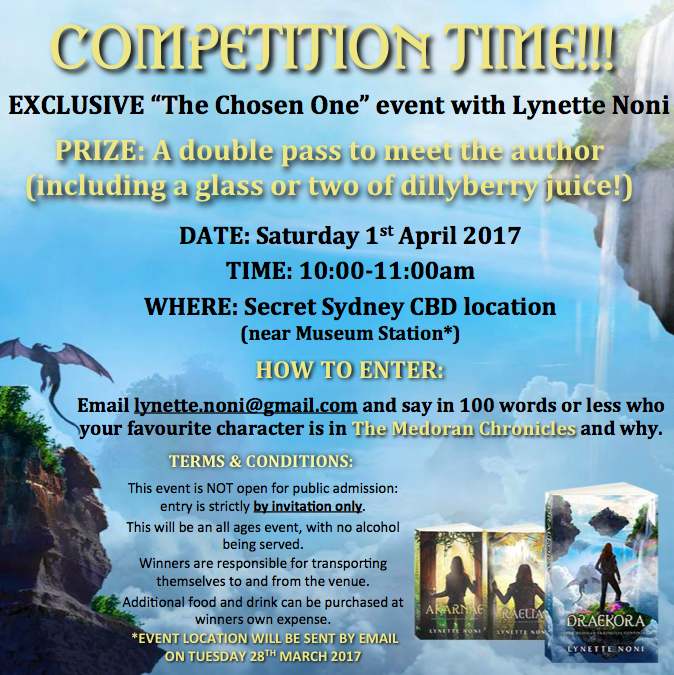 Book Launch(es) – NEXT WEEK!!! 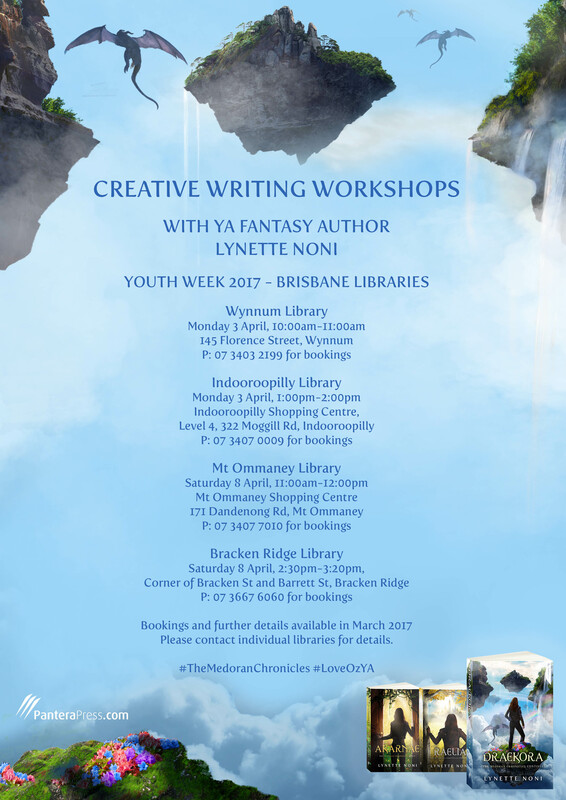 As you can see, there are events in Brisbane, Sydney, and on the Sunshine Coast. I will be at all these places to sign books and chat with readers. For more details about each separate event, please visit my events page. If you can’t make it to any of these events, don’t worry! 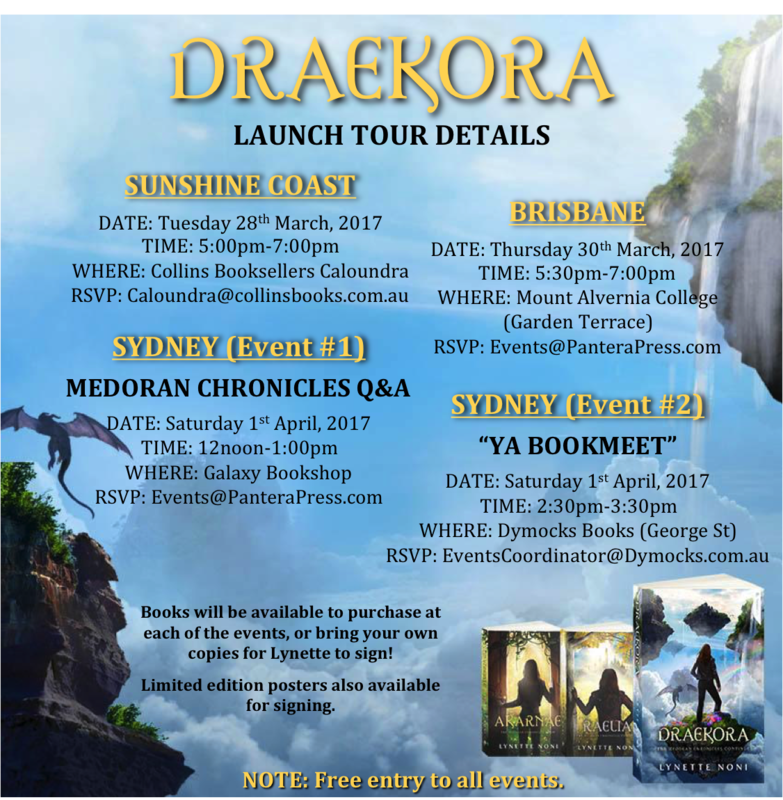 DRAEKORA will be officially released on April 1st. The paperback will be available in all good bookstores (Australia/NZ) and the e-book available worldwide. ← AKARNAE e-book on sale!